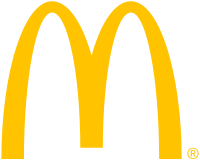 McDonald’s family restaurants have declined to open a branch in the West Bank settlement known as ‘Ariel’. This means that Maccaa’s is effectively joining the BDS campaign as a protest to the Israeli occupation of Palestine. The confusing thing is that McDonald’s used to be on the BDS hit-list! Apart from alleged incidents of racist behavior towards Arab workers, the issue seems to have been the corporate partnership between McDonald’s head office and the Jewish United Fund (JUF). According to Viva Palestina (Malaysia), “the JUF works to maintain American military, economic and diplomatic support for Israel; monitors and,when necessary, responds to counter negative media coverage of Israel” and apparently honoured McDonald’s Corporation during the JUF centennial celebration in 2000 as a first tier corporate partner to the cause of Zionism! Swimming upstream in this corporate environment though is Omri Padan – owner of the McDonald’s franchise in Israel and one of the founders of ‘Peace Now’ – a group who openly oppose the Palestinian Occupation! We now have the bizarre situation where Israelis are boycotting the boycotters, so that there is turmoil at both the grass roots and the corporate end of the burger! I’m not sure what to think, but I’ll give myself permission to ponder it further over a Big Mac and fries! “This has always been the policy of Dr. Omri Padan,” referring to the decision not to open restaurants in Ariel, the Golan Heights, which Israel captured from Syria in 1967, or even east Jerusalem, which Israel has annexed. Some in Israel welcomed Padan’s decision. Settler leader Yigal Dilmony said that while he doesn’t support boycotts, consumers should vote with their wallets. The dispute erupted as US Secretary of State John Kerry arrived in the region for yet another attempt to restart Israeli-Palestinian peace talks. Palestinians say that all of the areas that Israel acquired in 1967 must become part of the Palestinian state and all 330,000 Jewish residents there must leave. Israel says it wants to hold onto what it calls “settlement blocs,” including Ariel. Shaviro says residents are trying hard to achieve coexistence with their Palestinian neighbors. A year earlier, dozens of actors said they would not participate in cultural events there. Israelis are especially sensitive to boycotts as the country has recently been the target. Recently, physicist Steven Hawking pulled out of a conference to protest Israel’s policy toward the Palestinians. The Boycott, Divestment and Sanctions (BDS) movement has stepped up activity and dozens of artists, including musician Elvis Costello and actors Dustin Hoffman and Meg Ryan, have cancelled appearances. Others have rejected the boycott calls. Barbra Streisand played to tens of thousands of enraptured fans earlier this month, and Alicia Keys appears next month. Tags: bds, israel, settler, West Bank, Zionist. Filed under israel and palestine articles by Father Dave on Jul 15th, 2013.